08:30 Breakfast in San Mateo "Chez Vitor Restaurant"
14:00 Welcome and Lunch at Fundo San José. Check in and accommodation. 16:00 Visit the Cooperativa Agraria Cafetalera Perene, where you will learn about the operation of the Association. As well as, it will make a tasting of the different types of coffee that the Cooperative collects and markets. 18:00 Visit to Chanchamayo Highland Coffee, a company that works directly with 16 Producers' Associations, grouping 1740 farmers enrolled in the Organic Certification Program for the Fair Trade Market. It exports 46 varieties of products such as coffee, cocoa, sachainchi, banana chips, juices, jams, candied and dehydrated fruits, and exotic liquors to France, Switzerland, Finland, Denmark, Italy and the North American market. 09:00 Departure to the Benefit Plant of the Cooperativa Agraria Cafetalera Perene in Alto San Juan - Yurinaki, where you can observe the gathering, pulping, fermentation and washing of the coffee bean, where the plant technician will explain the whole process. 12:30 Departure to the Cerro Picaflor Community, you can observe the coffee plantings between 1000 and 1300 meters above sea level. 14:30 Departure to the Dry Plant of the Perene Agricultural Cooperative in Marankiari where you can observe the drying process of the coffee beans. in specialized machines. 17:15 Visit to Green Gold Coffee, artisan processing and marketing of coffee, where you can see the different ways this small family business has to present coffee: sweets, coffee with chocolate, coffee with kion, liqueurs, manjarblanco. As well as, the direct sale of coffee beans, toasted and solid. 08:30 Departure to Villa Rica, visit the Yánesha Ñagazú Native Community. Currently it has approximately 90 families, about 450 inhabitants, dedicated mainly to agricultural work, especially the production of coffee that, through the NGO Ecoselva and the exporting company Volcafe provide the Italian toast Lavazza for its special coffee line " Tierra ", with the seal of Rainforest Alliance CertifiedTM exporting on average 600 quintals of parchment coffee per year since 2005. 11:30 Visit to Villa Rica Highland, a private company formed by ten partners, producers and exporters of high quality coffee with a business vision focused on increasing productivity, continuously improve quality and expand markets, where you can get to know the laboratory for the control of Coffee quality and plant selection process and threshing of grains in green gold coffee for export. 13:30 Lunch Santa Rosa Finca. 14:30 Visit to Finca Santa Rosa in Villa Rica, an old farm built in 1927 by the Austro-German settlers, where you can learn about the traditional way of growing coffee in the area. Also, you can appreciate the lifestyle of the first Austro-German settlers who came to Villa Rica. 08:30 Visit to the San José Ecological Park where you will learn about the natural and cultural heritage of the Central Selva, and at the end of the tour you will participate in the Reforestation Program "Sowing in Tree in Chanchamayo" and you will receive a Planting Certificate. 10:00 Departure to La Merced. 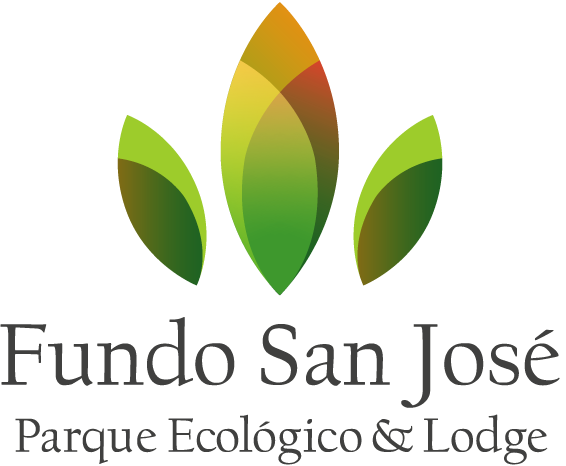 [justify]- 03 nights accommodation in Fundo San Jose. - Entrance ticket to all the places specified in the route. - Accompaniment of a Driver Tour from Lima. Rates expressed in new soles, not valid during Holy Week, National Holidays, Christmas and New Year. Rates valid until December 23, 2017. Lunches and Dinners: include 01 Entrance, 01 Bottom Plate, 01 Drink or 01 Infusion (soda, beer, juice, water, coffee, tea, chamomile or anise). Rates are exempt from VAT, by law to promote investment in the Amazon. Take into account that the Visits to Villa Rica High Land Coffee from Monday to Friday. In the case of hotels, Check in time: 2:00 pm and Check out 12 m.
Bear in mind that this is just a quote, no reservations have been made at the moment. Prices are subject to modifications without prior notice, due to availability of services, monetary adjustments or final modifications in itinerary and / or service. Tips, laundry, transportation, national or international calls, extra expenses and what is not specified in the program. Any reprogramming will be informed in the destination city by our representatives. Foreign passengers must present their PASSPORT at the time of Check In. The itinerary may be modified and / or canceled without the right to reimbursement due to force majeure: adverse weather conditions, disasters or natural phenomena, social commotion (strikes, strikes, marches, demonstrations, state of war, road cuts, growing of rivers or other reasons beyond our control) in such cases always seek to offer the best solution for passengers, any charge or extra expense generated by this situation will be for the account of passengers. In case of cancellations, the company will retain a percentage of the value deposited according to the days of anticipation with which the notice of cancellation is made: From 15 to 11 days, 30% of the total value. From 10 to 6 days, 50% of the total value. From 5 to 0 days, 100% of the total value. August to March: Season of pruning of coffee trees, flowering, maintenance of coffee plantations, maintenance of benefit and drying plants. The commercialization establishments can be visited all year round.